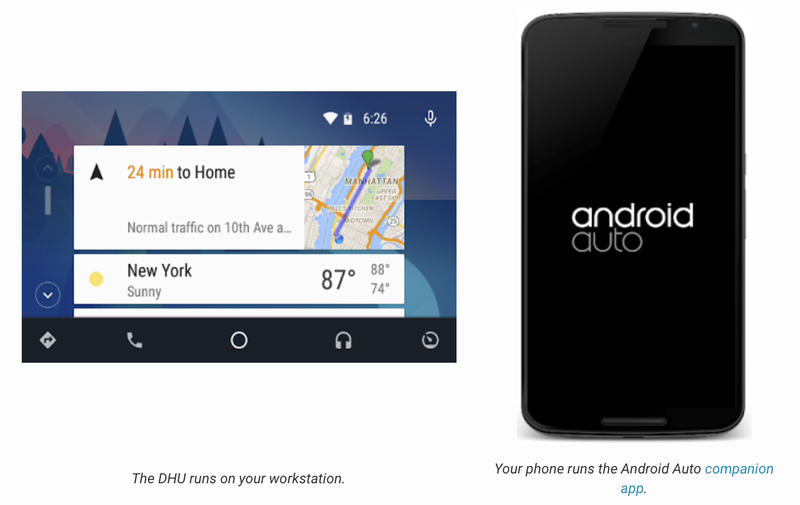 If you're a developer working on getting your app compatible with Android Auto, there's some news for you. Google has announced a new testing tool which has been released today. It is called the Android Auto Desktop Head Unit (DHU). The DHU will allow developers to use their workstation as an Android Auto emulator bringing the in-car experience to the desktop for testing purposes. Apps can be tested by connecting an Android smartphone to the workstation via USB. Emulators are an important tool for testing pre-released versions of an app. Previously, developers had to test on an Android Auto head unit or vehicle. Previously used simulators will slowly be removed or disabled according to Google. You will need to install the companion Android Auto app on your smartphone to correctly connect to the DHU. Google has provided a detailed document explaining how to get started with the new tool on their Android Developers Blog. Check it out.